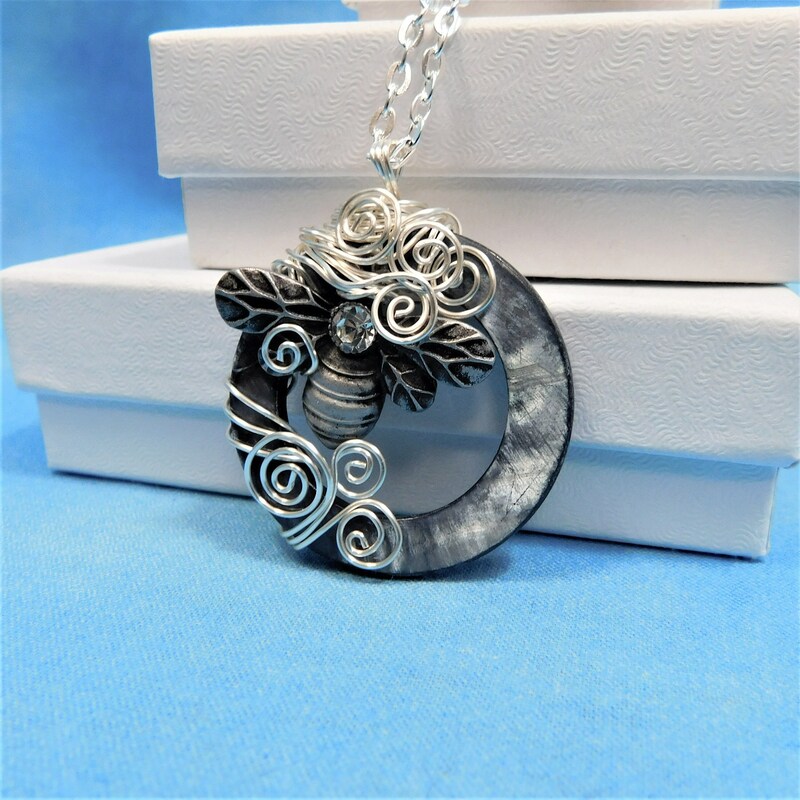 A 1 3/4 inch round mother of pearl circle is the frame for this gunmetal tone bumblebee with a little bit of bling. 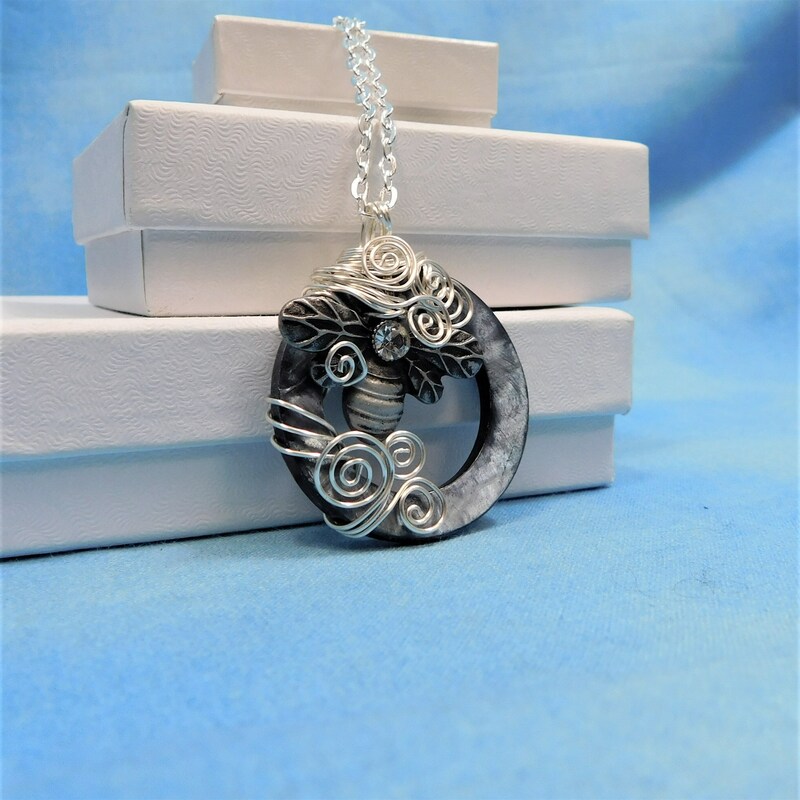 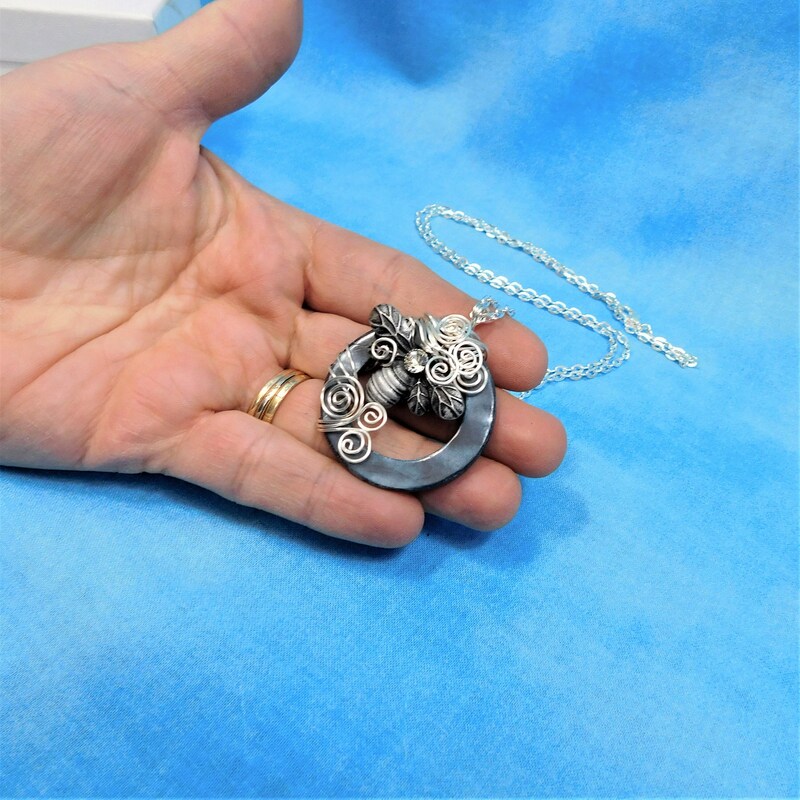 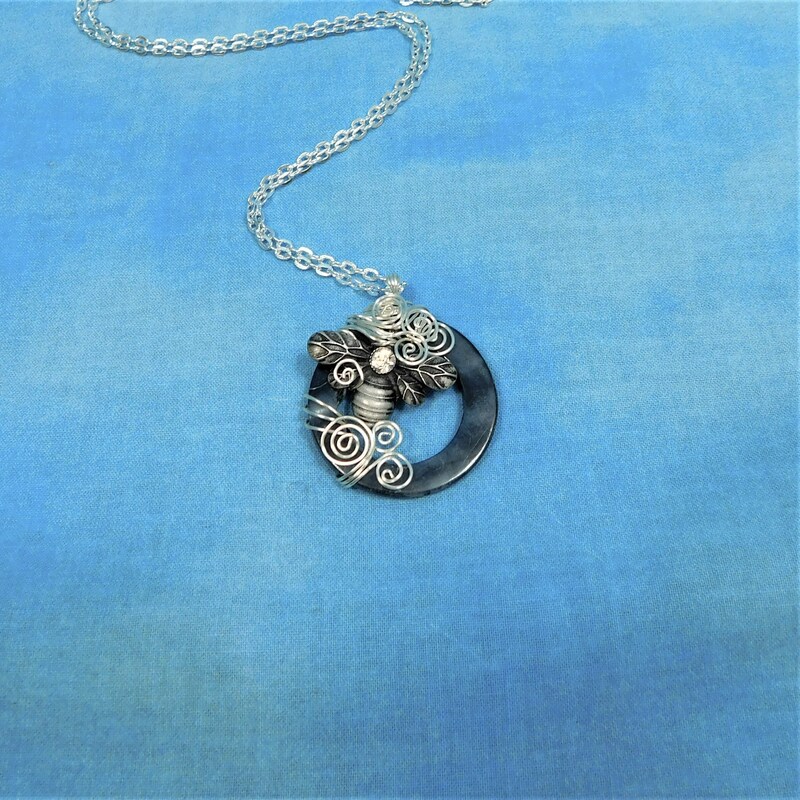 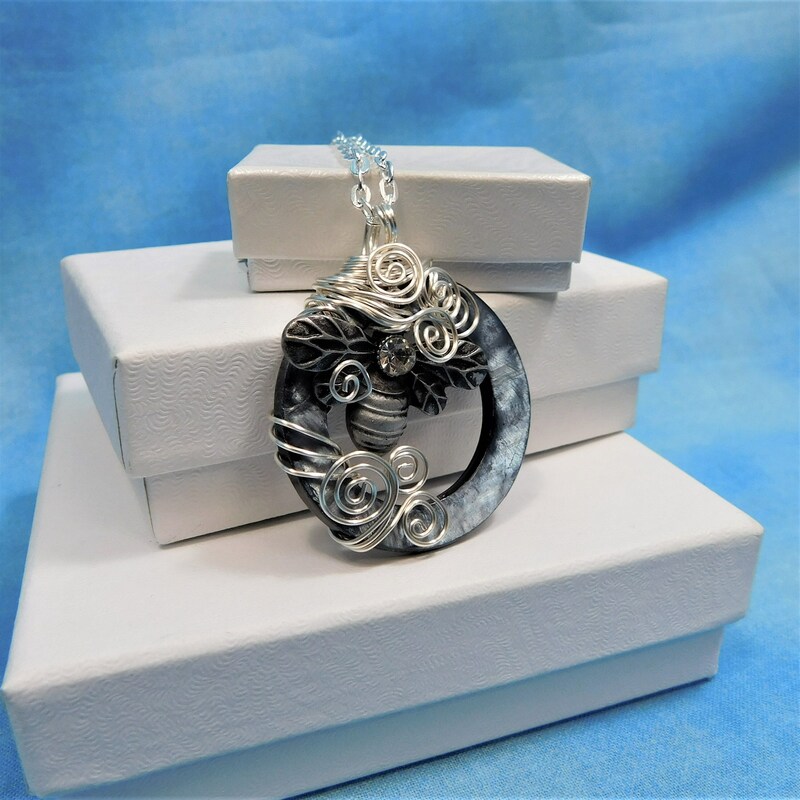 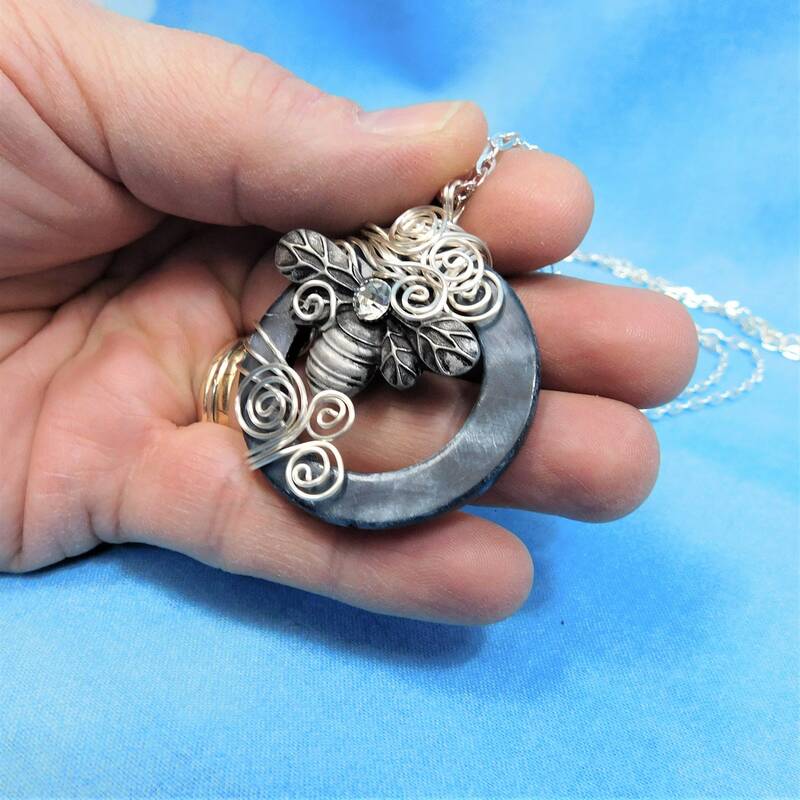 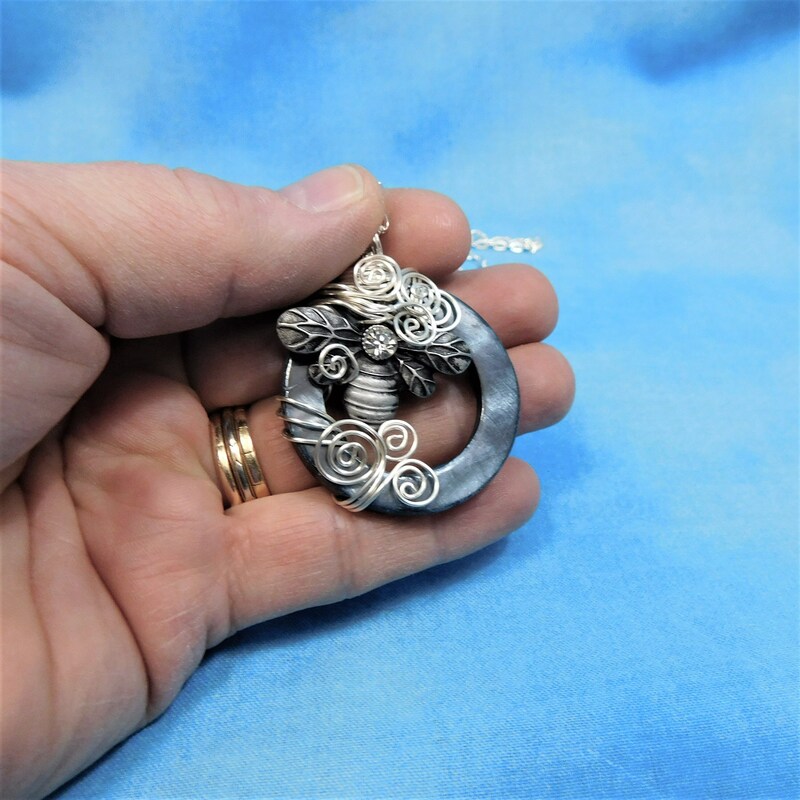 The bee is wrapped within the shell with non tarnish fine silver over copper wire, in a design intended to bring a sense of buzzing among vines and leaves. 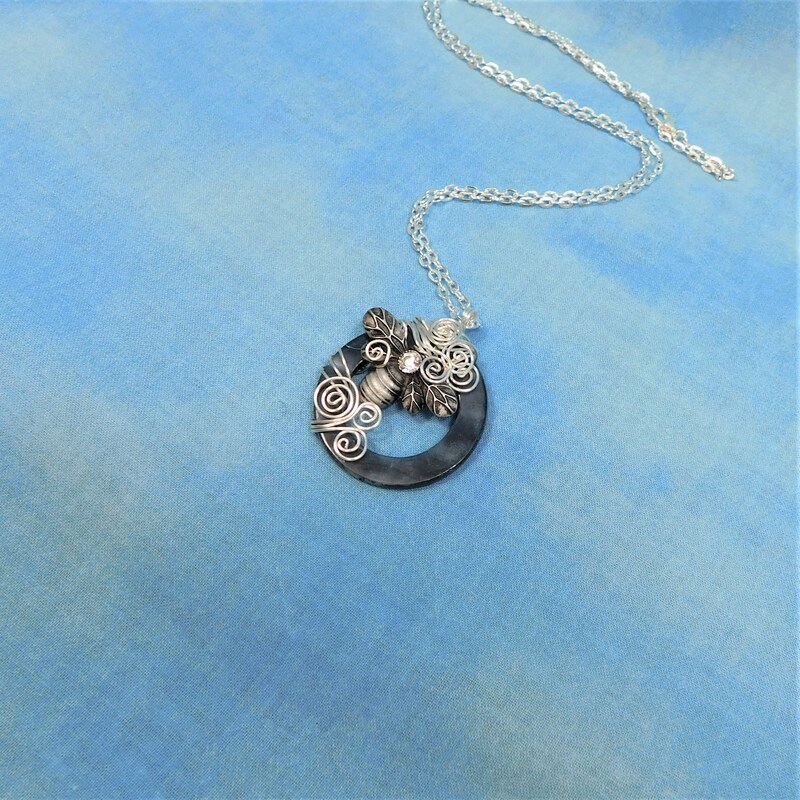 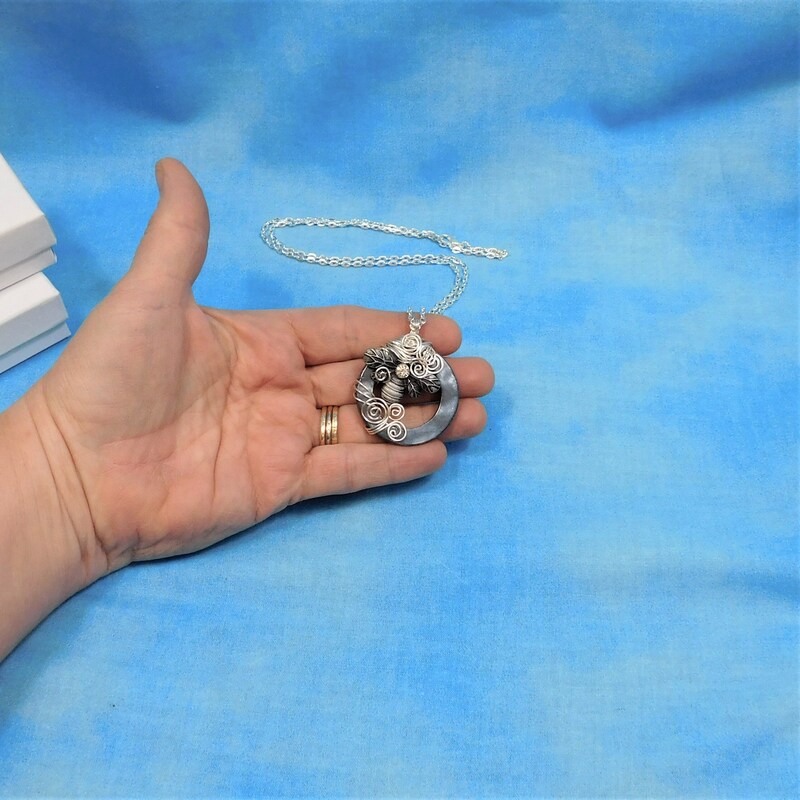 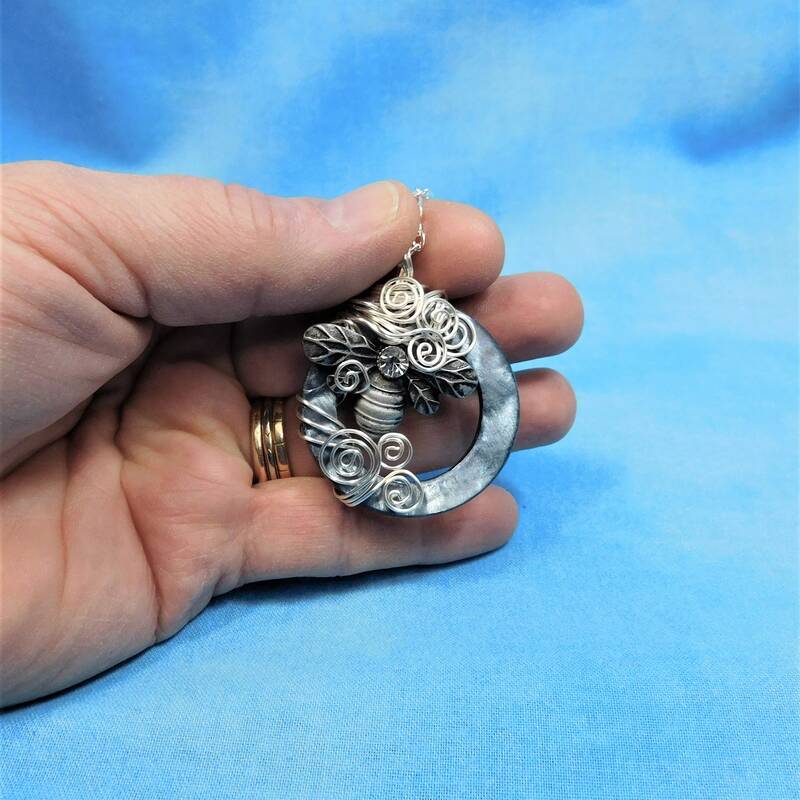 This pendant style necklace comes with a FREE coordinating chain with lobster claw clasp, measured to your preferred length.